Thank you for visiting Fredrick & Rogers, P.C. When you need help with legal matters, you need a law firm with knowledge, skill and experience. 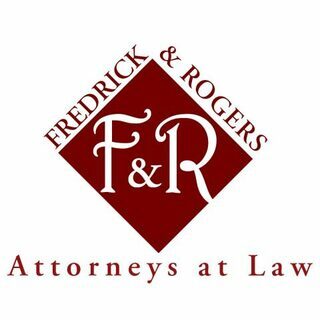 The law firm of Fredrick & Rogers, P.C. has the expertise to guide you through the legal system, and ensure your rights are protected. Our firm was founded in 1991 and is located in Springfield, Missouri. Our firm provides a broad range of legal services to individuals and businesses in our region. We are dedicated to our clients and focus on their needs and goals. Lawsuits frequently last longer and are more difficult than the general public expects, but we strive to ensure our clients’ decisions are well-informed and based on realistic expectations of the time, effort, expense and emotional involvement. Our firm is committed to certain fundamental qualities in our practice: integrity, excellence of work product, and reasonable fees. We want to be on YOUR side if a legal dispute arises. Call us and we will introduce you to the most qualified attorney to represent your needs. The information contained on this website has been provided for informational purposes only. It does not constitute legal advice. The receipt of this information does not establish an attorney-client privilege. Proper legal advice can only be given upon consideration of all the relevant facts and laws. Therefore you should not act upon any of the information contained herein without seeking appropriate legal counsel. The choice of a lawyer is an important decision and should not be based solely upon advertisements.